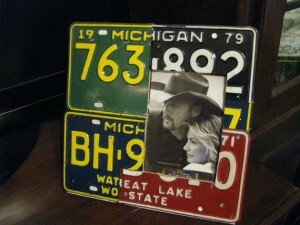 Handmade License Plate Art Home | About Us | Opportunities | Sponsorships | Contact Us! 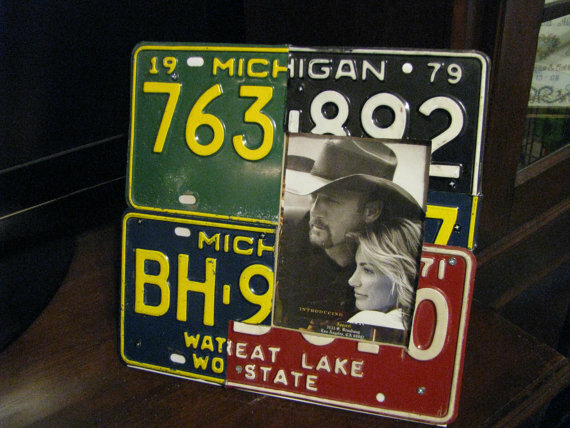 There’s something so nostalgic and symbolic about license plates, and even more so about vintage aged license plates. 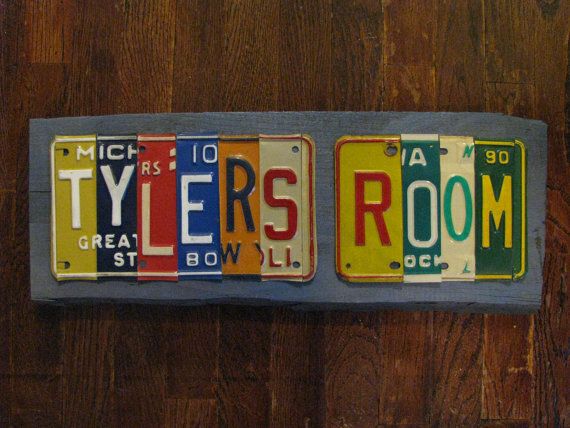 This week, we’re chatting with an amazing artisan who creates handmade license plate pieces that are sure to rev up any guy’s living space! 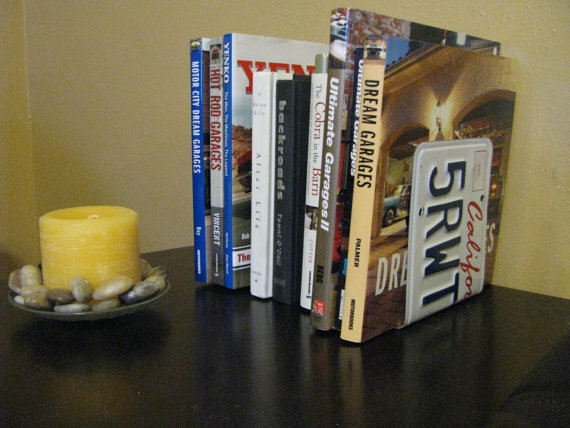 From book ends and picture frames to customized name plaques and coat hangers, you’re sure to find the perfect one-of-a-kind gift for a special man in your life, or a piece of truly inspirational art with many miles for your own space! Welcome to Handmade Men! 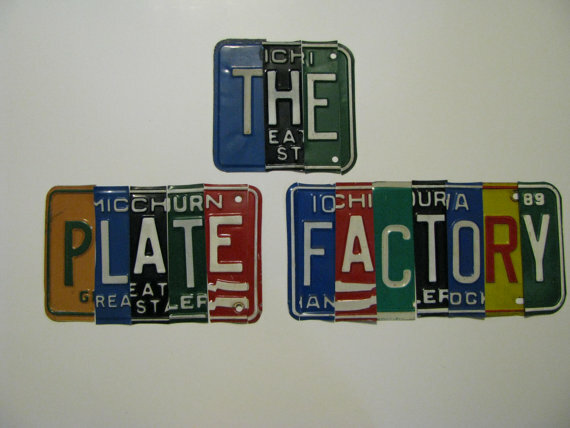 Tell us a little bit about yourself and your Etsy shop, The Plate Factory. My name is Colt and I have always enjoyed anything vintage. I started making art from plates years ago but didn’t try to sell anything until last year when someone sent me a Etsy link. I currently do this in my garage in the summer and basement in the winter. I am setting up a work space in my basement as we speak that is more “work friendly”. 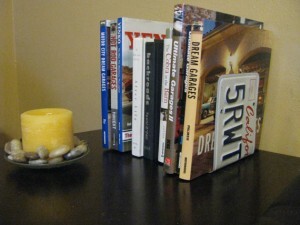 Your work is truly one-of-a-kind, and the colors, textures, and arrangements you work with are really eye-catching. 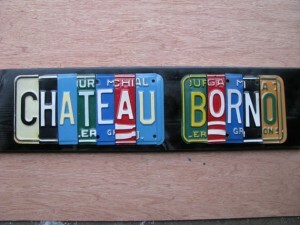 What got you started in working with vintage license plates as a for of handmade art? I collect vintage license plates and bought a huge collection of plates to part out. I got them and decided to make a route 66 sign. I got lots of compliments on it so I started making other things. As I went I learned better ways to cut them and also how to use the true color of the plate instead of painting them like I did in the beginning. It seems like there are more and more vintage, reclaimed, upcycled, repurposed, and recycled art styles emerging these days in the handmade world. Why do you think these styles are so popular? Two reasons that pop out to me. One is recycling has became a “cool” thing to do, and the second is the look of reclaimed vintage with other more modern elements just looks so awesome together! We couldn’t agree more! Your work is really amazing! You have a lot of amazing styles and designs in your shop right now. Do you have a favorite? My personalized signs are my favorite and my best seller. 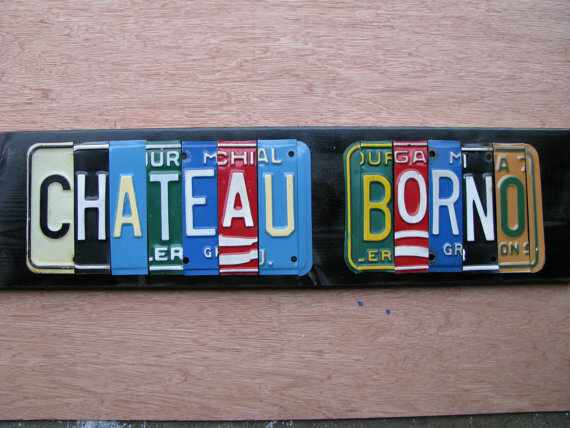 I take real license plates and cut out letters to spell any kind of saying. I have done business names, man cave signs, garage signs , kids room signs, and more. As an artisan who created by hand, why do you think that a unique, handmade, and custom item is so special? 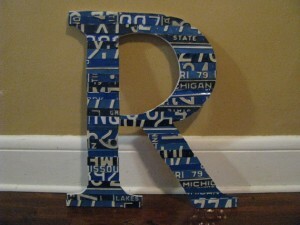 Handmade items are one-of-a-kind and can be personalized. You can’t get that at your local big box store so I think Handmade items mean more to someone. Thank you so much for sharing your work and your shop with us! 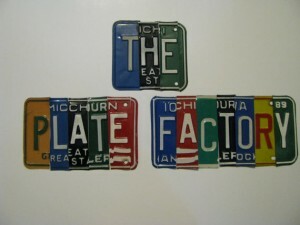 Tagged etsy, License Plate Art, Recycled, Signs, The Plate Factory, Upcycled, Vintage. Bookmark the permalink.